There’s nothing more beautiful than tolerance – especially in a city as versatile and volatile as Beirut. When art inspires this tolerance, it’s all the more beautiful. 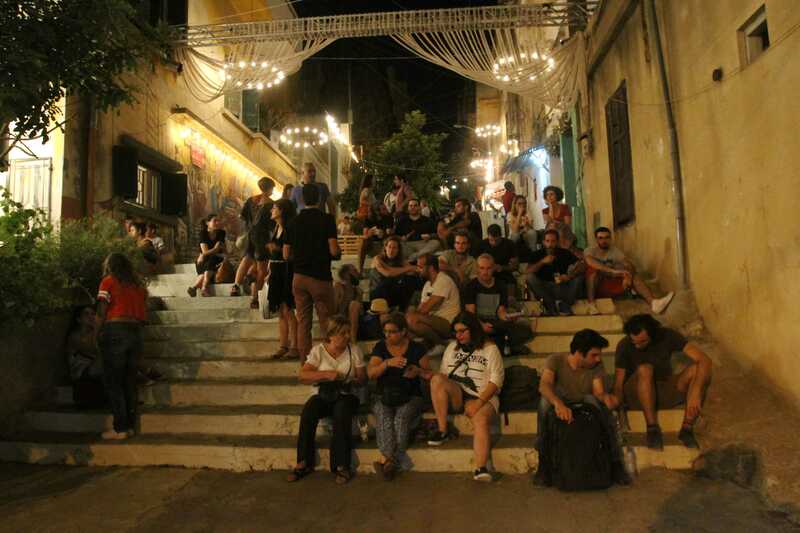 The fourth edition of the Nehna Wel Amar Wel Jiran (Us and the Moon and the Neighbors) street festival on August 28 – 30 brought together over 5000 – very different kinds of – people on Mar Mikhael’s historical Vendome stairs. The scene was utopic – the young and the old, the Lebanese together with other nationalities, those with artistic-inclinations and others with a healthy curiosity, all promenading up and down the giant staircase and into pleasant nooks, watching performances, cheering, and munching on locally-made goodies. The biggest edition to date, it featured over 30 incredible performances of the local and international variety. Neighbors leaned comfortably over their balconies and porches, adjacent to wide-eyed visitors viewing performances and carefully studying the charming vertical neighborhood. 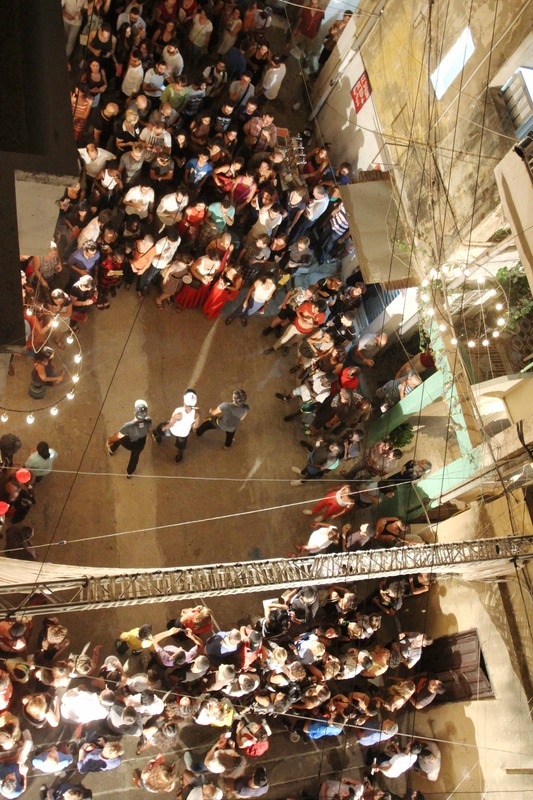 The ‘Jiran’ (neighbors) element in the festival title is significant—the event has always been held on those stairs, and organizing group Collectif Kahraba have a special relationship with the inhabitants, who essentially invite strangers into their back yards. Over the years they’ve developed mutual trust and together, shared the neighborhood with the rest of the country and beyond. Some of the neighbors volunteered, prepared food and offered electricity from their homes for the festival’s needs. 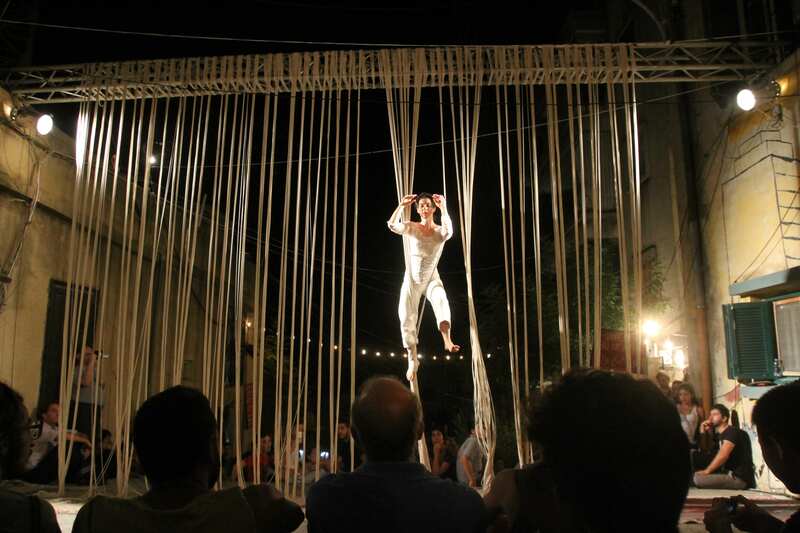 A total of 90 artists, organizers and volunteers were involved – all working for free to bring performance art to the public – and the festival was partially funded through local crowd funding platform Zoomal, with hundreds of people donating small amounts. “We cannot have an economic impact on the cultural scene in Lebanon but we can have an impact that is just as important by allowing people to meet and introduce people to each other,” says Zouki. But that may not be entirely true. For the first time this year the festival also offered a daytime program just for professionals. 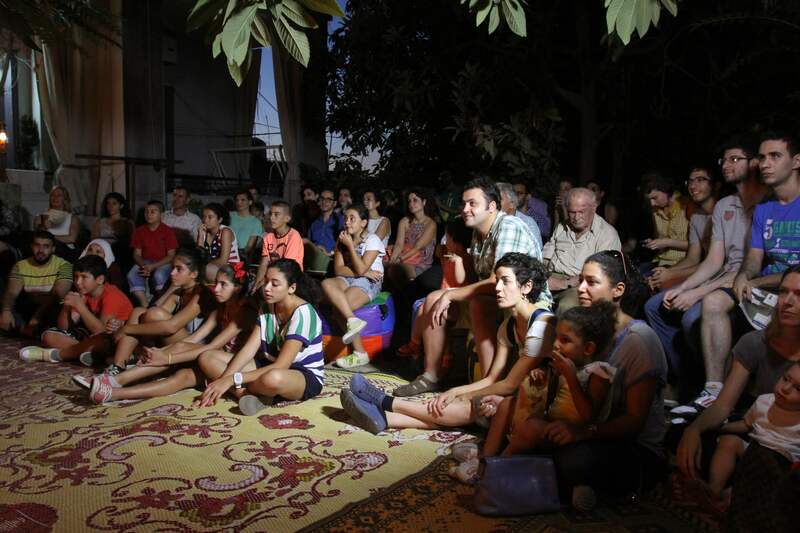 Directors and curators from around the world came to Lebanon to discover the local scene. 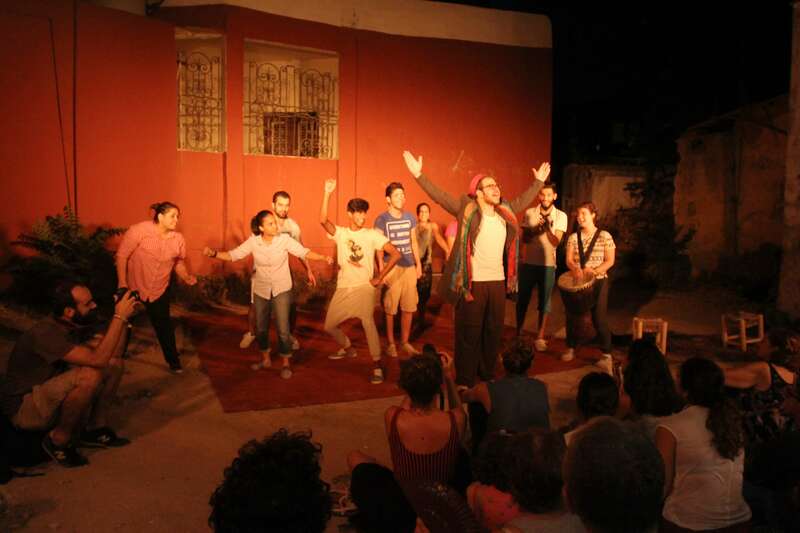 “We are trying to link artists to potential funders, and make them more visible on the international scene, to give them possibilities and opportunities, to give them exposure,” says Arab, who coordinated that part of the program.